Looking to rev up your ride? 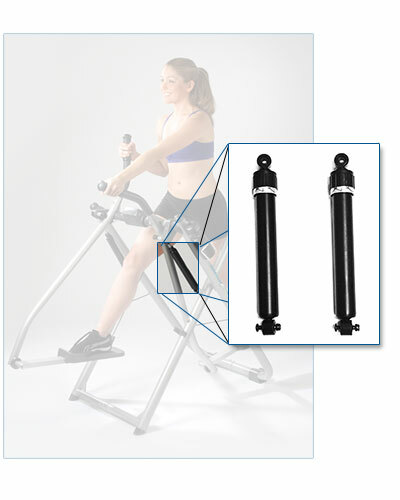 Adjustable Power Pistons offer 6 levels of hydraulic resistance for a more versatile, customized workout. Attaches easily. With a simple turn of the knob, you control the resistance level. Perfect for all fitness levels – from beginners to advanced fitness enthusiasts – you control your workout! Adjustable Power Pistons ONLY fit the Gazelle Elite, Sprint Master Elite and Supreme models. Sold as a set of 2.